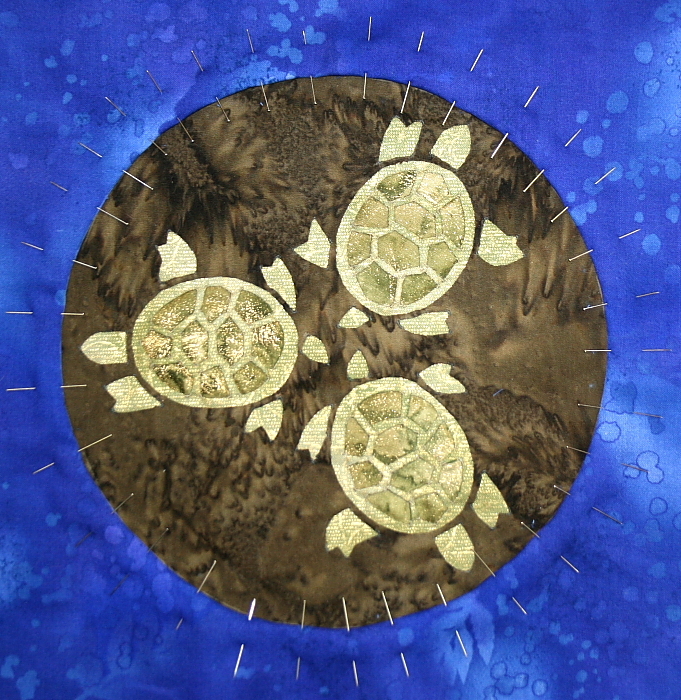 posting the nearly finished turtle – not sure i’ll have time to do it once it’s truly finished and published. i did not expect to be at this point – put in some dedicated time yesterday and today. only problem is – that means having the tv on most all day. ick. why, you ask?? well, if i don’t, i won’t remember to look up and away every now and then. and soon, i’m about cross eyed! and i need to do everything i can to preserve these eyes. now, am sooo glad all those adults kept telling me not to ‘read in the dark’, etc. ^_^ yes, i do wear specs now – but at least i can still (with them) still see well enough to do what i love! oh, and don’t let me forget to mention that bright light i have shining down directly on my work in hand!! so, here he is. before i met that live turtle in his tank, i’m not sure i would have ended up with ‘water’ as the ‘overlay’. all my past direct experiences with turtles were with what, i guess, is called a ‘box turtle’ – so i was actually visualizing something more akin to grass! this little guy definitely looks more like the one in my friends’ tank! this pattern should be available at the show this weekend – in benecia. i often do the overlays this way – makes the stitching go much faster. that is, i have already turned and pinned it all the way around. guess you would call in ‘pin turning’. ^_^ i don’t press – just pin with the pins perpendicular to the turned edge. that way, i just remove the pin when i get to it. and now, i must get ready to head out – had a call to go to the office where i sometimes lend a hand. also, there are a few items needed from the store. never did get up to get to the garage/van work. sure hope it is to be clear again tomorrow! guess i’d best check and if not – will have to load the van when i get back.